"Cornerback Daryl Worley #26 of the Carolina Panthers takes a moment prior to a game against the Washington Redskins at FedExField on December 19, 2016 in Landover, Maryland. " Sporting events is all about access. 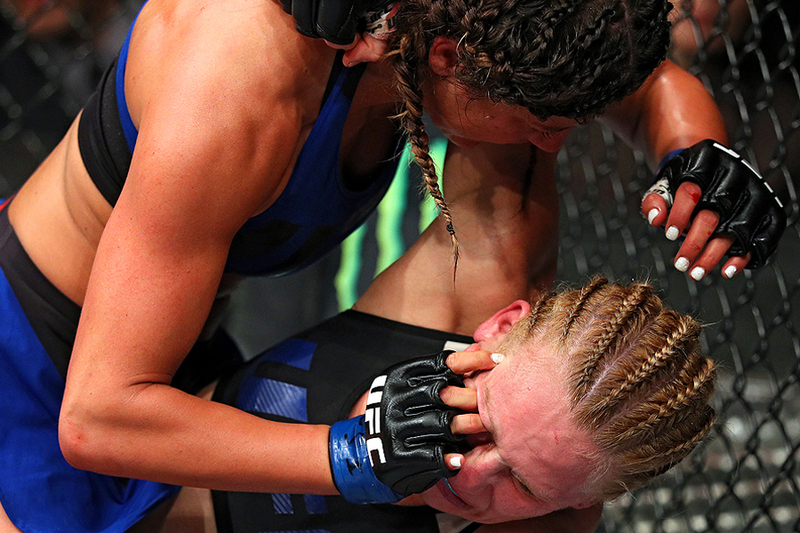 Unfortunately, professional sports doesn't always lend itself to the best behind the scenes. While there are rare occasions, most of the time finding those moments requires a different type of access. That means photographers must find moments happening from a far and then document them with long glass. 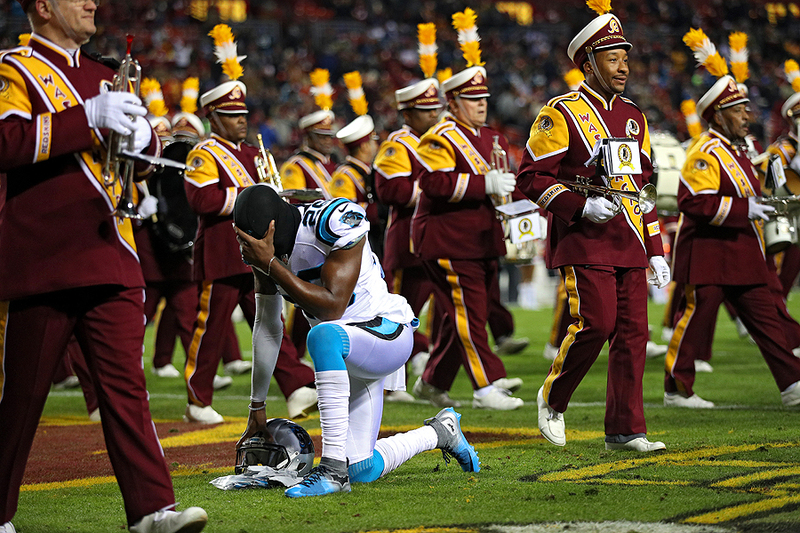 During the Carolina Panthers taking on the Washington Redskins game over a week ago was no different. Typically football players will have a moment to themselves minutes before the game in the end zone - whether they're actually praying or just trying to find a moment to focus. After witnessing it more times than I can remember, I thought that I could try and layer the Redskins band leaving the field with the aforementioned moment. Just when cornerback Daryl Worley of the Carolina Panthers thought he'd have time to have a second alone, he had to share with a hundred or so band members. Didn't seem to shake his team's focus, as the Panthers defeated the Redskins. 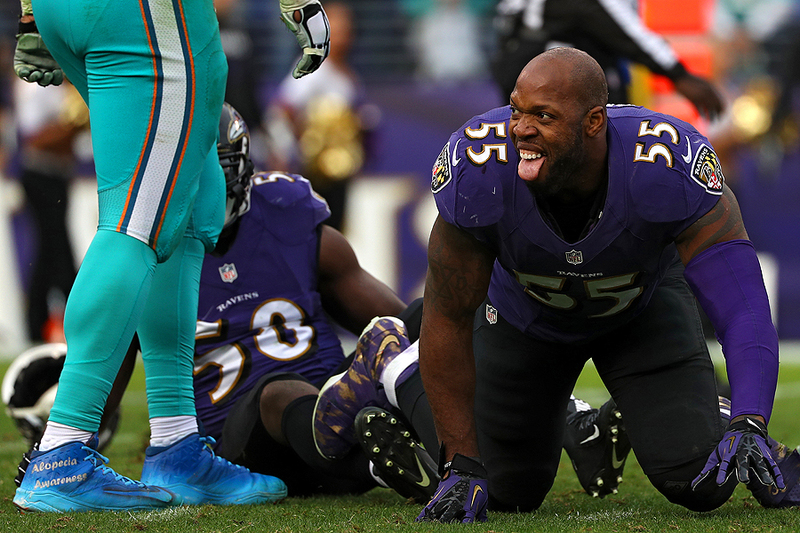 "Outside linebacker Terrell Suggs #55 of the Baltimore Ravens reacts after hitting quarterback Ryan Tannehill #17 of the Miami Dolphins (not pictured) in the third quarter at M&T Bank Stadium on December 4, 2016 in Baltimore, Maryland." As the year comes to a close, life gets a bit hectic. Yet photographers must stay focused, hungry because the best pictures can still happen as everyone become complacent. For sports photographs, it's often the reaction to a play that is the most compelling. As Terrell Suggs of the Baltimore Ravens rushed in to tackle Ryan Tannehill of the Miami Dolphin, he lost his helmet. The image of him making an almost tackle on Tannehill was different because players aren't always losing their helmets during play. However, it was his celebration, licking his chops and walking around like a dog that made the image. 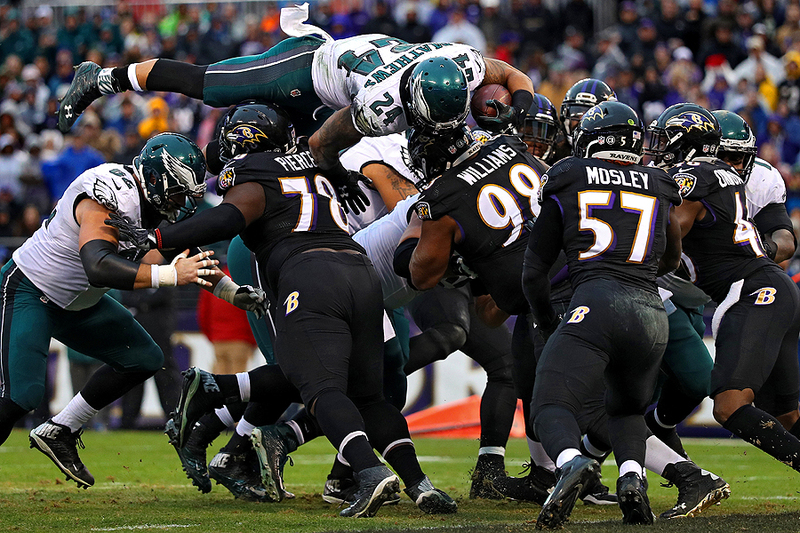 Suggs was celebrating in his actions and showing that his confidence is still up as the season winds down. He was focused, hungry just as we all should be year round.